Our air source heat pumps transfer heat from outside air to heat radiators, under floor heating system, warm air convectors and water in your home. The way the heat pumps extracts heat from outside is just like the way a fridge extracts heat from its inside. 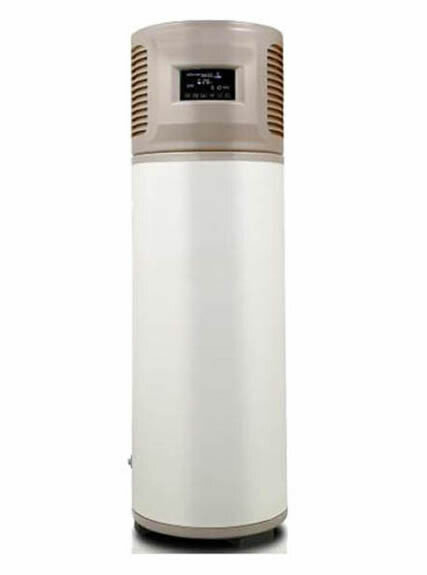 It can get heat from the air even when the temperature is as low as -15° C. Advantages of Air Source Heat Pump Water Heater Stable and reliable design, simple system, advanced tank design, clear layering of cold and hot water. Maximum of hot water External coil tank structure can prevent the corrosion of coil. 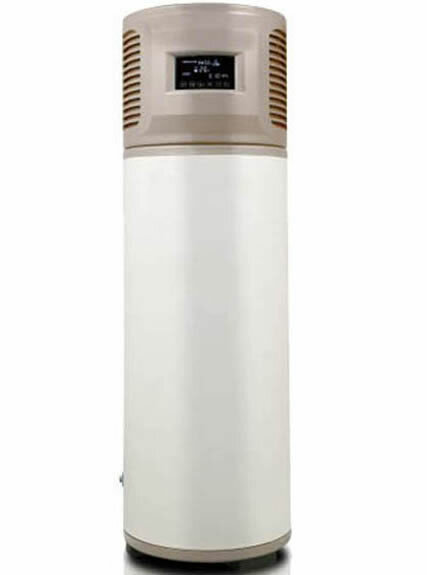 Working Principles of Air Source Heat Pump Water Heater The heat pumps are mainly composed of steamer, compressor, condenser and throttling set. It can transfer heat into water by heating recycle, from steam refrigerant (imbibe heat from outside), compress, condensate (let out heat), to throttle. 1. Safety: the electricity is totally insulated with the shower, which prevent the leakage of electricity. The heat pumps also have no problem like gas emission, which ensure its safe performance. 2. Comfortable performance: It can offer you hot water the whole day because the heat accumulating air heat pump can turn on or off according to water temperature in the tank. It can offer you enough hot water and keep its temperature stable. 3. Cost saving: the air source heat pump water heater cost one fourth of the normal heat pump. Suppose there are four people in a family, they would use 200L water per day which needs 4 RMB, but our air heat pump can only need 1 RMB. It will save you 1000 every year. 4. Environmental protection: gas heat pump heats water by combustible gases, which produce large amount of poisonous gases, like carbon dioxide and sulfur dioxide. However, our heat pumps transfer heat from air into water, which has no any poisonous gas emission. 5. Low carbon usage: based on the inverse kano principle, the air source heat pump water heater only cost one fourth of the electricity for heating same amount of water compared with normal water heat pump, which reduces energy consumption. 6. Intelligent control: heat pumps are operated by micro computer, which can turn on or off according the user’s needs and tank temperature. 1. Our machine is very economical for heating home and hot water. 2. Environmentally friendly. Heat pumps turn air outside into heat, which leads to much lower CO2 emissions than any traditional fossil-fuel based heating system. 3. Easy installation. Energy saving: the energy of our air source heat pump water heater cost takes 28% of traditional water heat pump, which save plenty of electricity for you. 4. Safety and reliability: the total insulation between electricity and shower water guarantees its safety. 5. The China water heat pump works in the whole day. Our heat pumps are not affected by weather. 6. Durability and longevity: It has high safe performance. The compression engine can protects the machine when it is under tension, overheating, high or low pressure and low or high electricity flow. It can also work under long time heating condition. It can be used for more than ten years. 1. Leave enough space for this machine. You need enough space outside your home to set the unit and make sure a good flow of air. 2. 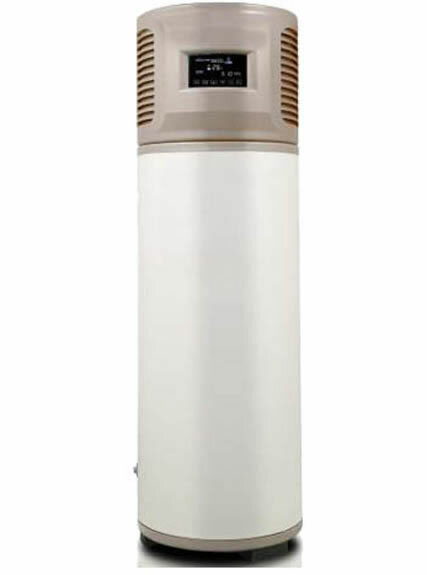 Keep an insulated and draught-proofed environment, because our air source heat pump water heater machine work best when producing heat at a lower temperature. 3. Keep the under floor heating system or warm air heating, because our heat pumps can work better with this system than radiator based systems. 4. Combine the installation with other building work, which can reduce the cost of installation. 1. Micro impurity and mineral substance would precipitate if you don’t clean the water heat pump on time, which would affect water quality and its longevity. 2. You should guarantee at least one inspection in one year. You should exclude potential dangers and inspect its safe performance. Especially in summer, high temperature is prohibited in case some damage to our air source heat pump water heater. 3. Clean the water filter on time outside the machine, which guarantee the purity of water and damage to main motor because of the filter clog. 4. Keep the surroundings of water source heat pump clean, dry and ventilation in case the air outlet is clogged.